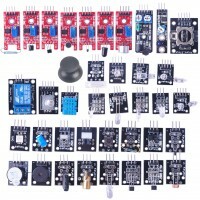 Good quality and brand new!Kit details:1 x Small passive buzzer module 1 x 2-color LED m..
Description：This load sensor, sometimes called a strain gauge, is the same one found in digital ba.. Description:Color: 5 colors, they are red,blue, yellow,green,whiteSize:26*21mmWhen press,it is low v.. 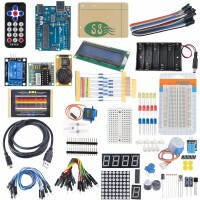 Description:A4988 is a complete microstepping motor driver with built-in translator for easy operati.. 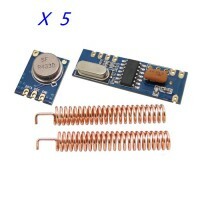 Description:Frequency: 433MhzModulation: ASKReceiver Data Output: High - 1/2 Vcc, Low - 0.7vTransmit..
STX882 is a ASK transmitter module with small size, ultra high power, low harmonics. With high stabi.. Description:Input: 100V - 240V AC, 50 - 60 Hz 0.5AOutput: 9V DC 1000mAWeight: 60gPlug: US plugInterf.. Description:Chip: ACS712ELC-20APin 5V power supply, on-board power indicator;Module can measure the .. 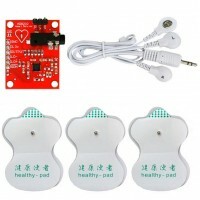 Description:The AD8232 is an integrated front-end for heart rate monitoring signal conditioning of c..
Package Included: 1x For Arduino Compatible Board1x Infrared Remote Controller1x 1ch Relay shi.. 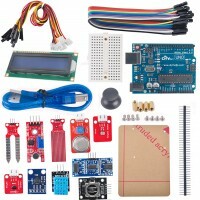 Product Overview The Keyes Ai voice control V3.0 control board is compatible with the Arduino sens..
Package Included:DIYmall UNO R3 board X 1I2C1602 LCD X 1Acrylic plate X 1Mini Breadboard X 1Ultrason.. 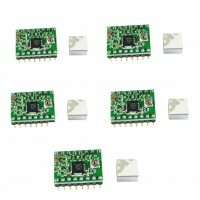 Description:	Based on the AMS reference design, this is the AS3935 digital sensor breakout boar.. 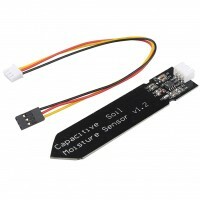 Description:Working voltage: + 2.7 ~ 6VWorking temperature: 30 ~ +70 Degrees CelsiusOUT pin Output v..